The Norwegian School of Economics (Norwegian: Norges Handelshøyskole) or NHH is a business school situated in Bergen, Norway. NHH - Norwegian School of Economics was founded in 1936. 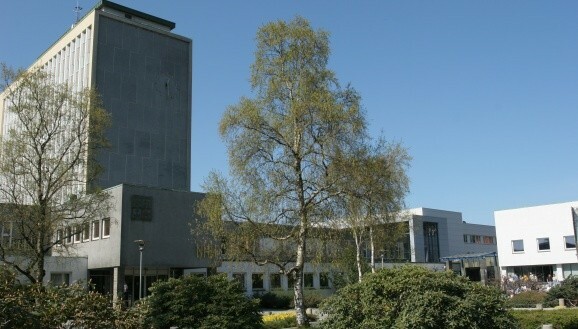 NHH and affiliated institutes SNF and AFF constitutes the NHH Group, the leading centre for research and study in the fields of economics and business administration in Norway. It is Norway's oldest business school and has since its foundation been a leading Norwegian teaching and research institution in the fields of economics and business administration. The school celebrated its 75th anniversary in 2011. NHH has a strong international orientation. The school participates inexchange programs with more than 130 foreign institutions in over 30 countries, and around 40 percent of the school's students spend at least one semester on exchange. The school is member of CEMS (The Global Alliance for Management Education) and the Partnership in International Management (PIM) network, and is accredited by EQUIS (European Quality Improvement System). Admission to NHH is the most selective in its field in Norway. For seven years in a row (2007–13), the NHH undergraduate programme received more applications than any other undergraduate study programme in Norway and around 20% of applicants are admitted annually. In 2013, NHH received 2265 applications for 450 spots in its undergraduate program. Accreditation by the European Quality Improvement System (EQUIS) ensures that NHH strives to maintain the highest level of teaching and research. Membership of CEMS - the Global Alliance in Management Education, PIM - Partnership in International Management and bilateral agreements mean that NHH has partnerships with some of the leading institutions for economics and business administration in the world. NHH is also an active participant in educational programmes under NORDPLUS / NOREK and ERASMUS and was Norway's representative in pilot project that established the European Credit Transfer System (ECTS). With Norwegian membership of the Bologna Process, the study programmes at NHH conform to the standard European model for Bachelor, Master and Doctorial degrees (3+2+3).